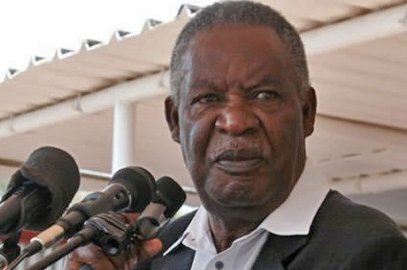 In an attempt to divert attention from the failed plot to buy the Litunga of Barotseland, president Michael Sata has hastily created six more districts in Western and North-western Provinces. And president Sata has ‘called’ for the construction of a new university at Namushakende in Western Province and proposed that this institution of higher learning should be named King Lewanika University. President Michael Sata’s regime has in the past week tried to divide the people of Barotseland by saying they will protect the King from his own people. This was after Barotseland prime minister Clement Sinyinda resigned citing internal disagreements in the Kingdom. The PF picked on the wrangles and offered to protect the Litunga. It propaganda newspapers moved in and said the Litunga has never supported the on-going secession from Northern Rhodesia. But the Litunga on Saturday said he fully supports the resolutions to secede and that he ordered his officials to implement them. But in a bid to fast forget this embarrassment, president Michael Sata found some people to swear in at State House but his real mission was to issue announcements regarding to Western Province. Without planning as usual, Sata said he has created new districts and named the new districts as Sikongo, Nalolo, Sioma, Mitete and Luampa in Western province and Manyinga in North-western province. He said this when he swore in Ministry of Labour and Social Security Permanent Secretary Trevor Kaunda and Muchinga Province Commissioner of Police Lemmy Kajoba at State House today. And from nowhere, Sata said that some Italians at a company which he did not name but based in Ndola were not paying Zambian workers well. Sata also directed Minister of Sports Chishimba Kambwili to ensure that a stadium is constructed in Western province.